A memorial reserve comprising two monuments, two memorial flagpoles (one with a white metal plaque), memorial Norfolk Pine trees and a children's playground. 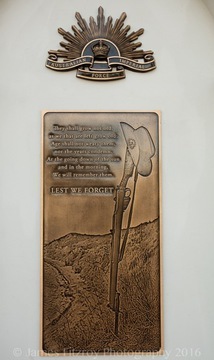 On each of the pine trees are bronze plaques attached around the bole with chains, each plaque has an identical introduction. The trees line part of Flinders Parade and an avenue leading to the beach. 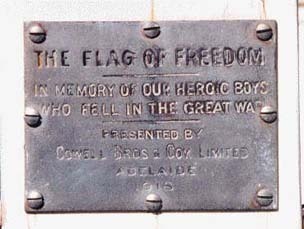 DESCRIPTION: A memorial reserve comprising two monuments, two memorial flagpoles (one with a white metal plaque), memorial Norfolk Pine trees and a children's playground. 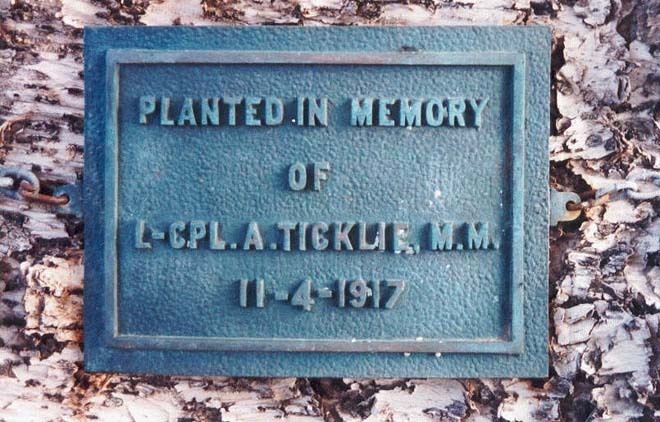 On each of the pine trees are bronze plaques attached around the bole with chains, each plaque has an identical introduction. 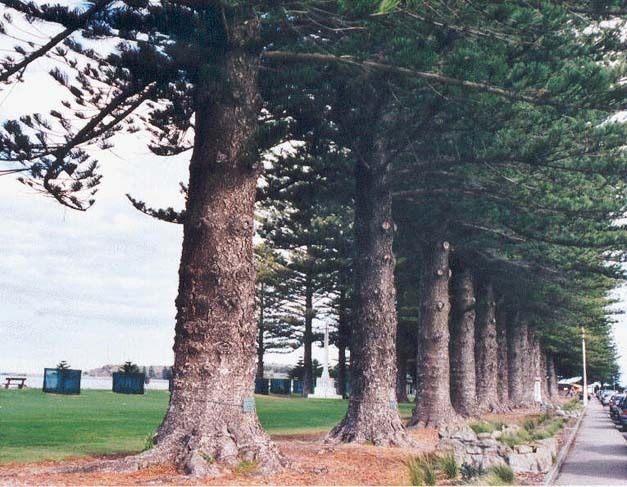 The trees line part of Flinders Parade and an avenue leading to the beach. ACKNOWLEDGEMENT/DATE: 30 Sep 02. 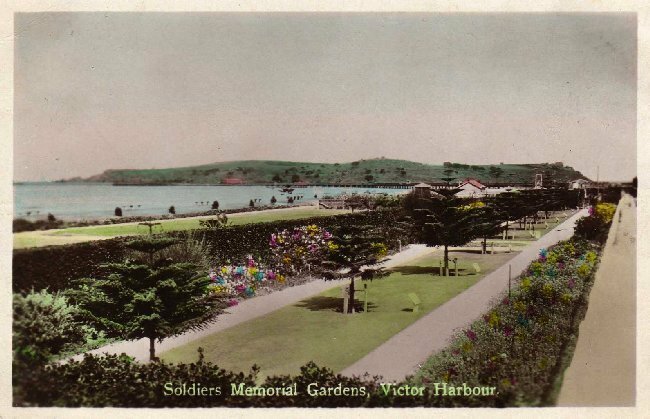 UPDATE: Postcard circa 1920's (Jacqwill collection), note size of pines and the siting of name panels in front of the trees before bronze plaques were affixed, 30 July 2008.